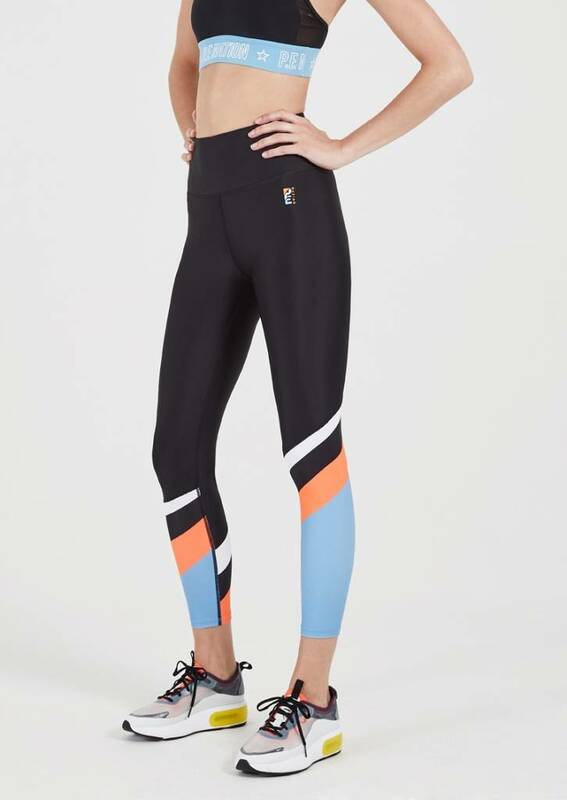 Make a statement from every angle in the Sky Shot Legging. 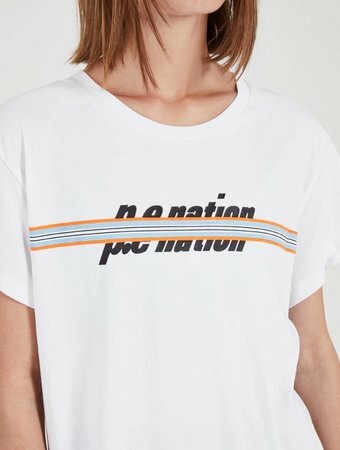 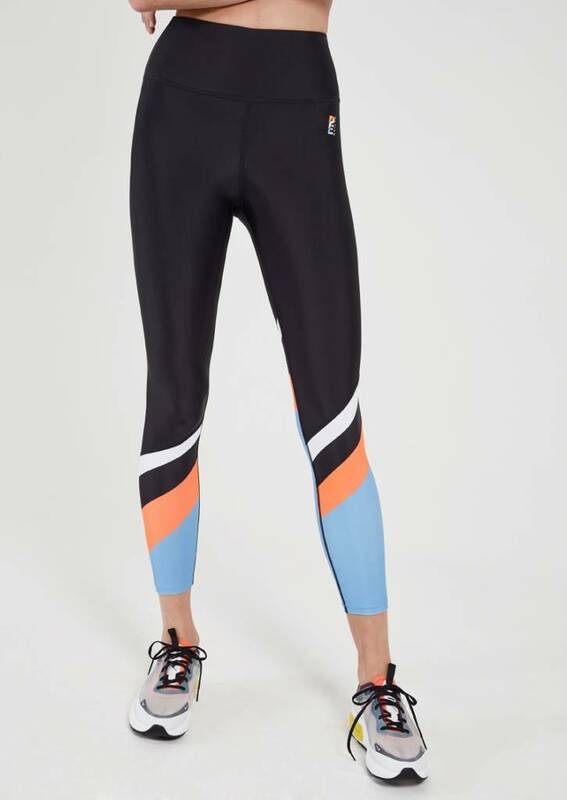 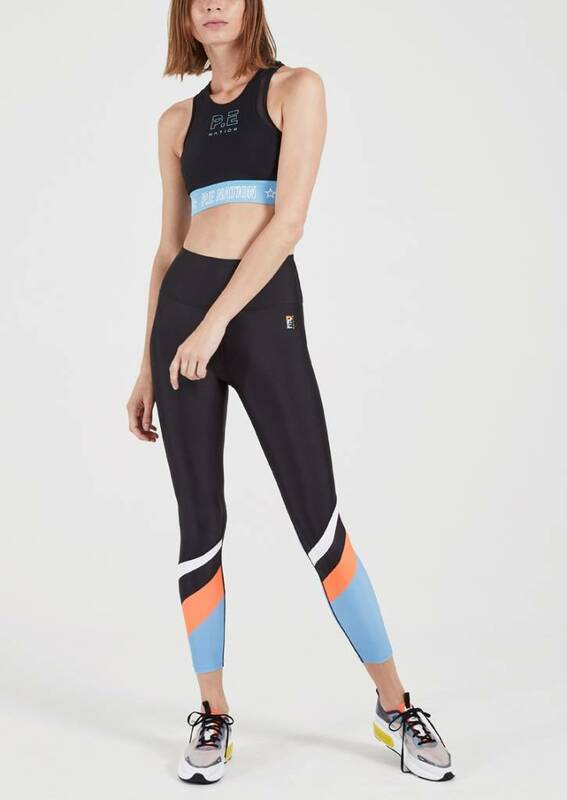 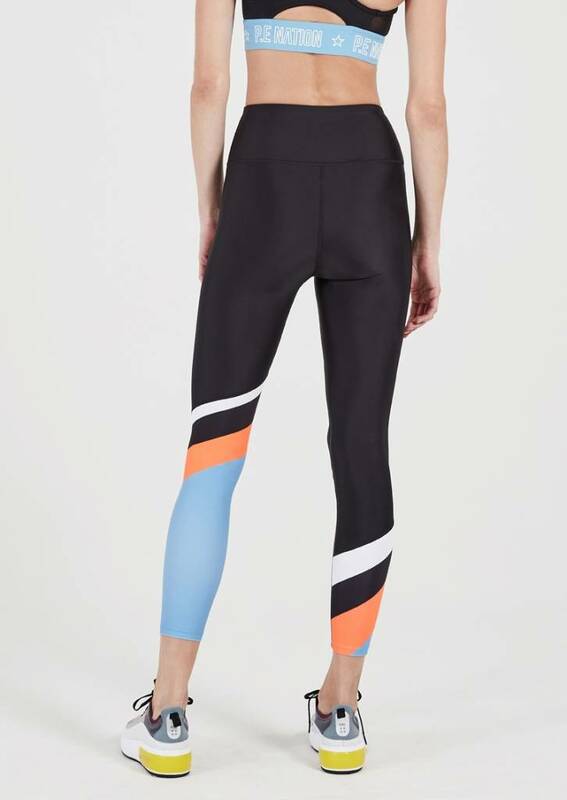 Featuring asymmetrical panelling in a fresh bold colour palette with ocean blue and fluro orange printed panels that contour the legs for a flattering finish. 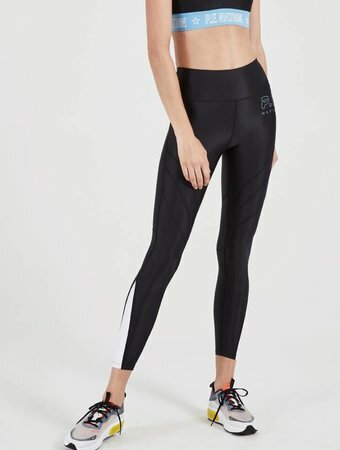 Designed from a high-tension fabric knit for increased support and compression, these high-rise, 7/8 length legs are suitable for medium to high impact workouts.